Engineering, hydraulics and system know-how – with its new BWIL drive Voith combines all expertises in a single unit. The result is a lean and robust system for punching and shearing applications with forces of up to 2,500 kN. The multi-pressure circuits and accumulator charging technology of the system make it highly energy efficient. Thanks to its modular construction, it is flexible in its application. Hydraulic drive systems in roll form units are compact in design. To minimize the number of interfaces and ensure short cycle times, Voith has optimally synchronized the hydraulic power pack, control unit, actuator, control electronics and application software in the BWIL drive. The close connection between the machine and drive system provides operators with the benefit of high reliability and availability. Proven components are combined in a modular structure according to the respective machine requirements. As a result, the BWIL drive requires a shorter development time and is available faster. The programmable high-performance drive uses hydrodynamic servo valves for process control and thus facilitates even complex forming and positioning tasks. Apart from the high quality of the produced parts, the BWIL drive also impresses with its performance data. 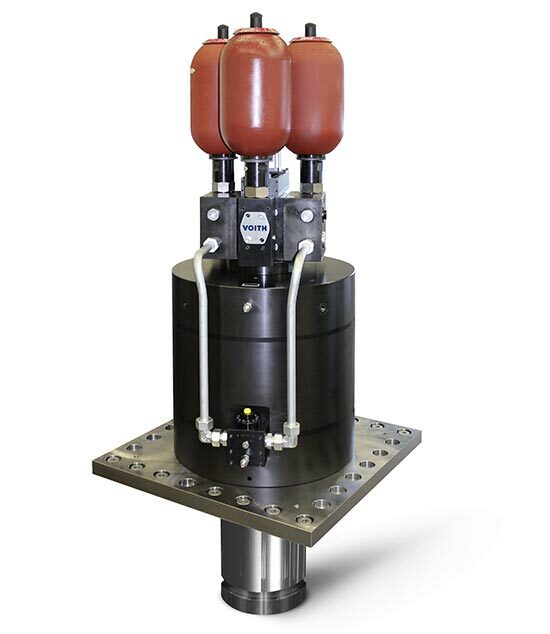 The application-optimized electrohydraulic drive allows punching forces of up to 2,500 kN in pressing applications, with a cycle time of 400 ms and 20 mm stroke. In shearing applications, forces of 1,000 kN with 200 mm stroke and cycle times of up to three seconds are possible. For driving the internal gear pump, Voith equips the unit with the latest IE3 motor technology. The delivery capacity of the pump is two times 125 liters. In combination with the accumulator charging technology and an additional three 50-liter accumulators, this delivery capacity is sufficient to realize even long dynamic strokes if necessary. The combination of Voith’s well-known accumulator charging systems and the highly efficient internal gear pump provides significant energy savings compared to conventional drives. 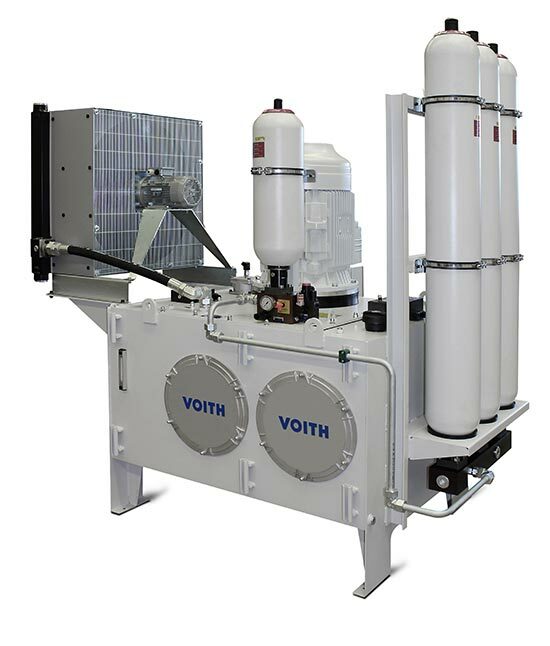 Voith Turbo H + L Hydraulic is a subsidiary of Voith Turbo.